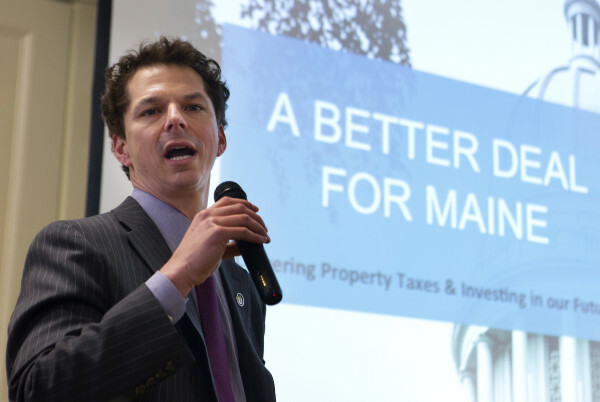 Senate Democratic Leader Justin Alfond of Portland. House Majority Leader Jeff McCabe, D-Skowhegan. Recently, this paper and several others published a story by the Maine Center for Public Interest Reporting that revealed Mainers receiving state assistance had taken home more than $22 million in lottery winnings from 2010-2014. We know that for every big jackpot winner, there are countless others who spent an enormous amount of money to play and walked away with nothing. To win that much, those Mainers would have had to spend hundreds of millions of dollars on losing lottery tickets. The facts here just don’t sit right for most Mainers. We know that while the lottery can be fun, it’s not an appropriate use of welfare money. That’s why Sen. Alfond submitted a bill to ban the use of need-based cash benefits, such as TANF, from being used on the lottery. It is our commitment to ensuring the social safety net is strong and effective that prompted this legislation. We know that every dollar not wasted on the lottery is a dollar that can be spent to pay for rent, food, heat, medical expenses or other bills that need to be paid. Mainers have always supported policies that take care of the vulnerable among us. In today’s uncertain economy, many of us are just one layoff, health emergency, home repair or family tragedy away from needing a hand up ourselves. Our support for programs, such as TANF, is why we must be vigilant to ensure the program is set up for success. Allowing taxpayer dollars to be thrown away on the lottery when they are supposed to be helping Mainers pull themselves out of poverty is contrary to our values. While the BDN Editorial Board seems to think we should give up before we’ve even begun, we’re confident that a solution is possible. Maine isn’t the first state to deal with this problem. Several others have developed innovative ways to address the intersection of lottery purchases and public assistance. This bill will kick-start a focused conversation on doing the same. While we must find a creative way to stop the misuse of taxpayer-funded cash assistance in the first place, we also have to ensure that those who receive a huge lottery windfall don’t collect a welfare benefit the next week. Michigan has enacted a simple solution, which cross-checks the names of lottery winners with those of TANF recipients to ensure cash assistance goes only where it’s needed. 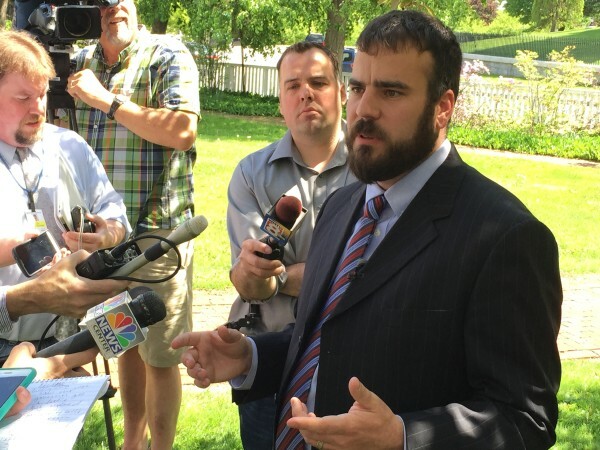 The bill would examine Michigan’s rules, and those in other states, to find best practices that can be applied in Maine as well. Maine’s Democratic lawmakers are the staunchest defenders of our obligation to help the neediest people in our state, and we’ll continue to defend the right of Mainers to live with dignity regardless of their circumstance. But defending the right of people to have food on the table and a roof over their heads doesn’t mean defending programs in the face of inefficiencies. We need to seal up the holes in our safety net if it’s going to protect Mainers from hitting rock bottom. Sen. Justin Alfond of Portland and Rep. Jeff McCabe of Skowhegan are the Democratic leaders of the Maine Senate and Maine House of Representatives, respectively.